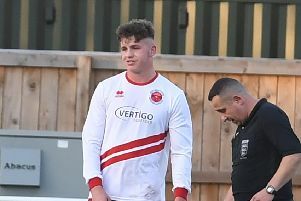 Skegness Town face a league double this week - with Nathan Collins’s side desperate to pick up vital Northern Counties East League Division One points. The Lilywhites are on their travels again tonight, going in search of vital points to secure their place in the Northern Counties East League. They visit fifth-placed Nostell Miners Welfare from the Wakefield area (KO 7.45pm). The Lilywhites still have work to do to guarantee their position in this Step 6 league after another reverse at Hallam FC, while Welfare have promotion ambitions. This will be followed by Saturday’s arrival of Shirebrook Town in another crunch clash (KO 3pm). Shirebrook sit 16th in the standings, one place and two points behind Skegness. Victory would afford the Lilywhites some breathing space as Shirebrook have a game in hand.